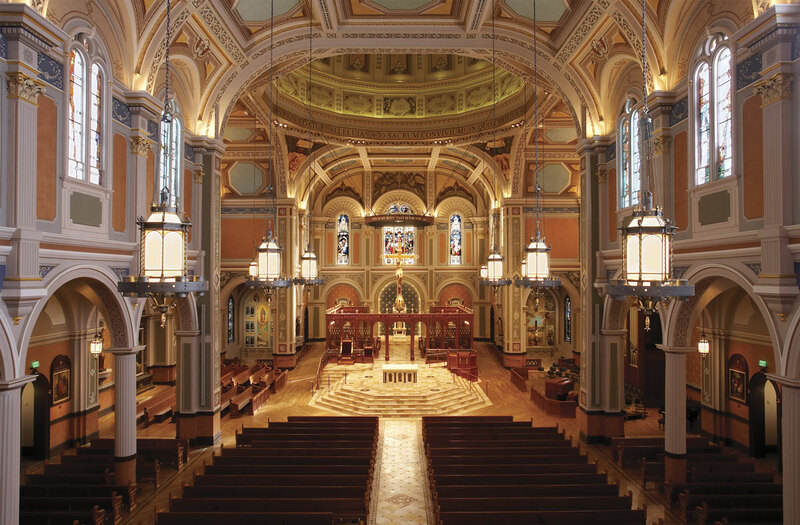 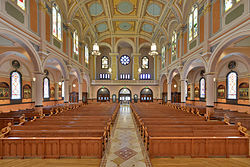 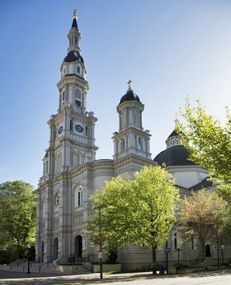 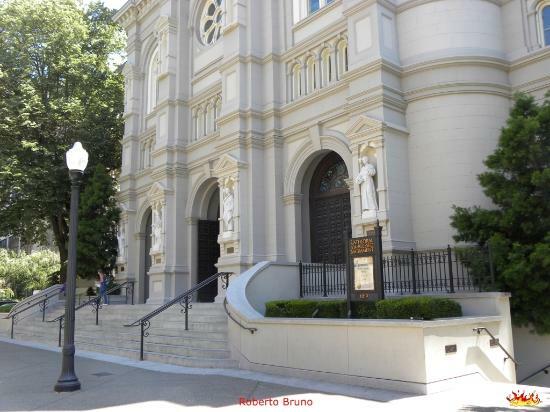 The salvaging, cataloging and the reinstallation of approximately 7500 square feet of exterior travertine columns along with the marble spandrels. 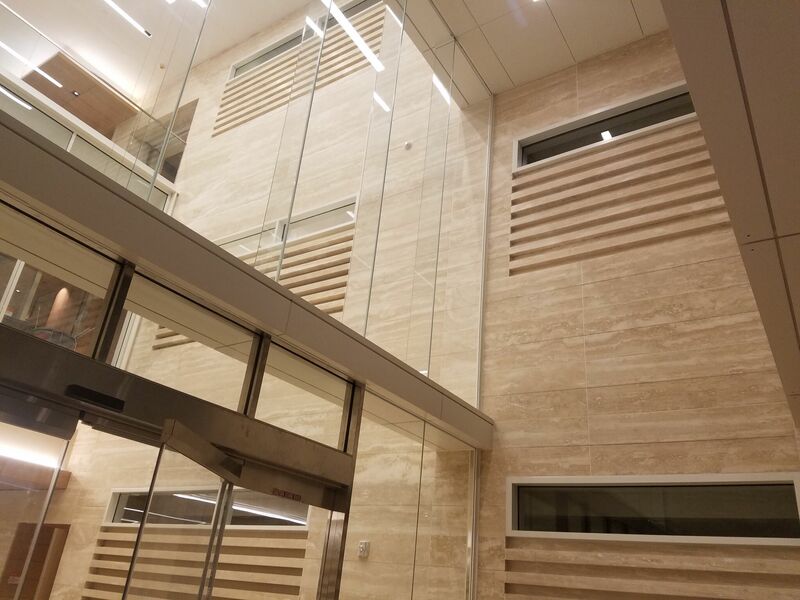 Approximately 10,000 of new exterior and interior mechanically anchored cladding and mud set flooring of mathching travertine, that included a new modern three story atrium and lobbies. 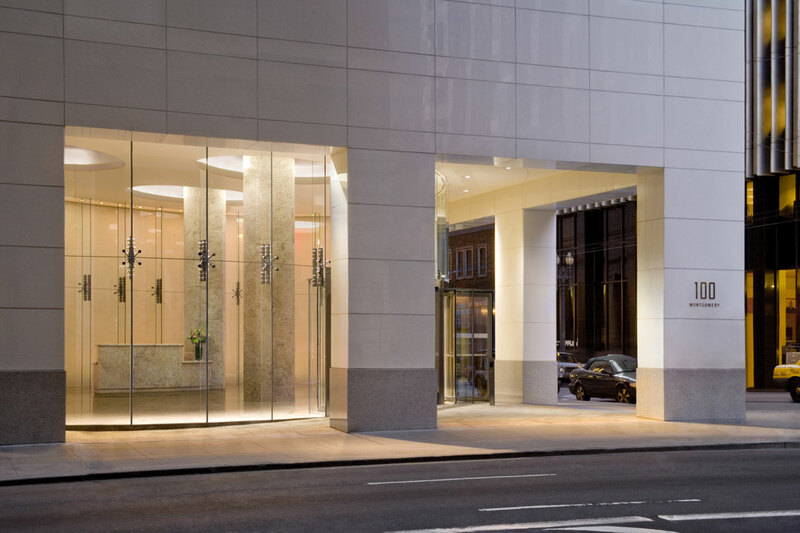 The 100 Montgomery project involved the renovation and re-cladding of 28-storey San Francisco Landmark. 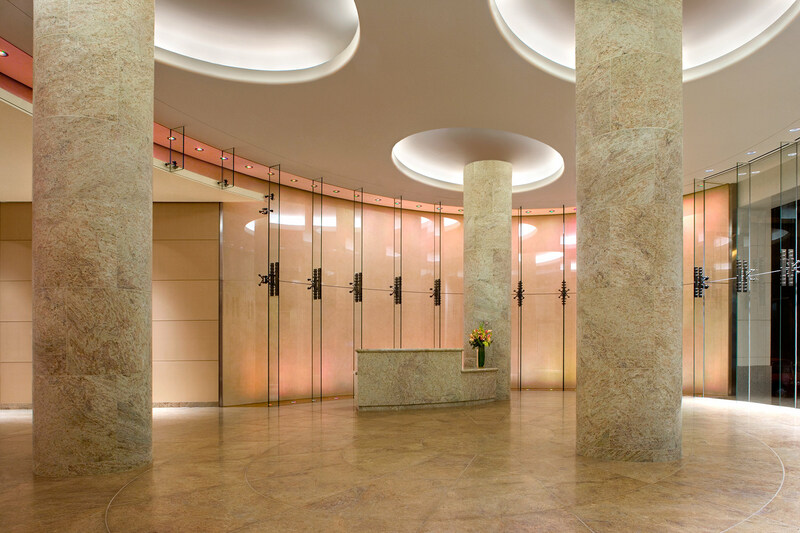 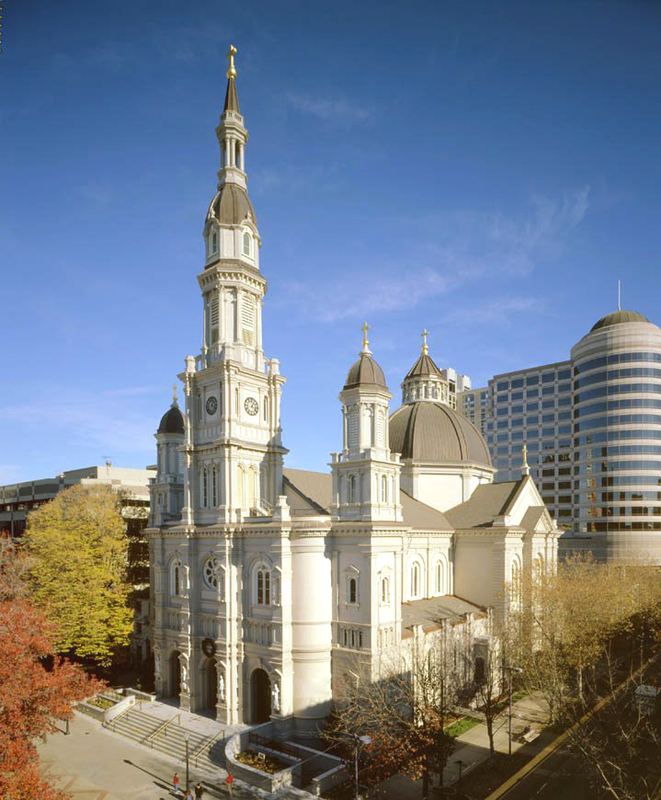 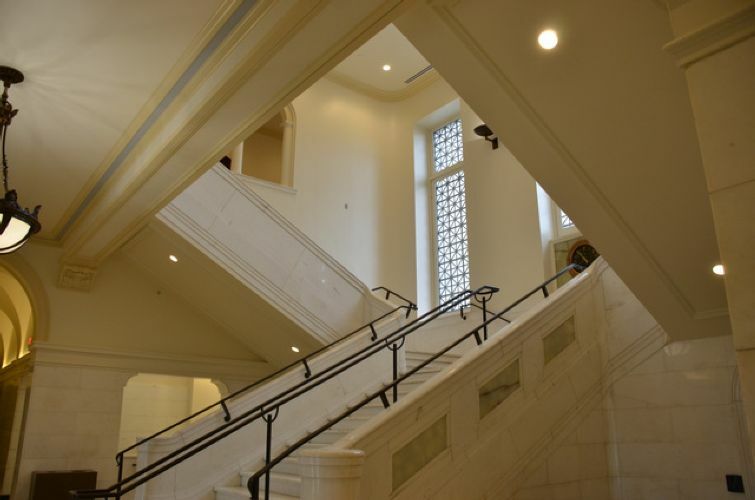 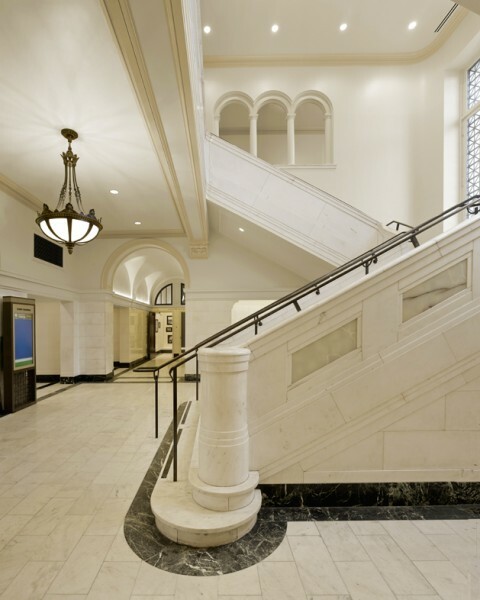 The renovation work included the interior lobby stonework, granite flooring, and granite column cladding. 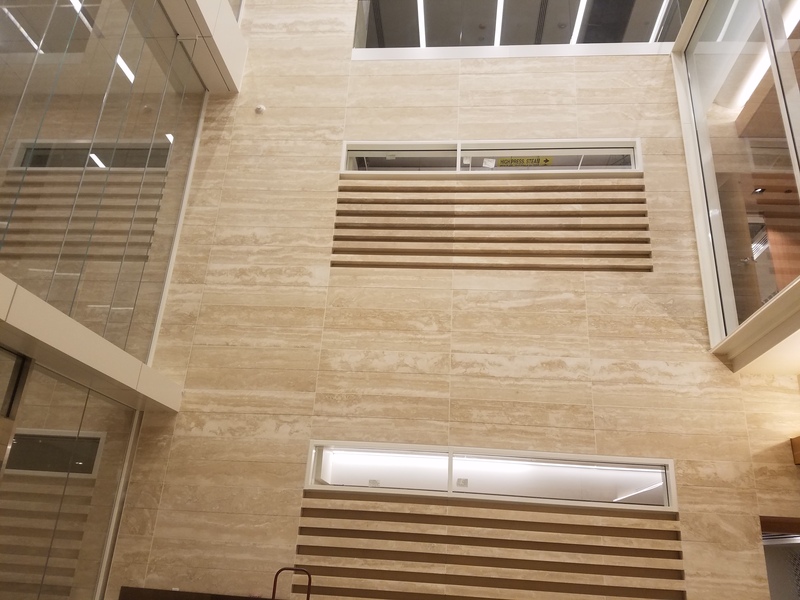 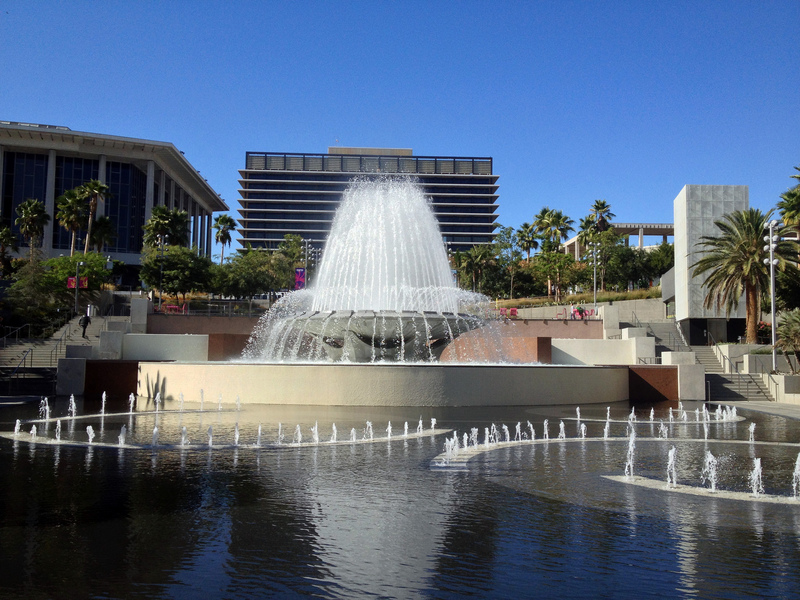 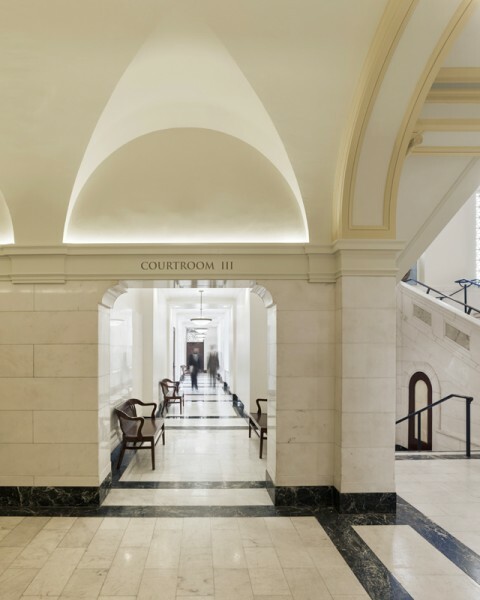 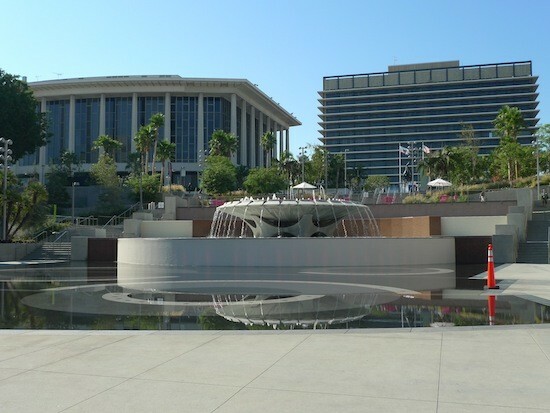 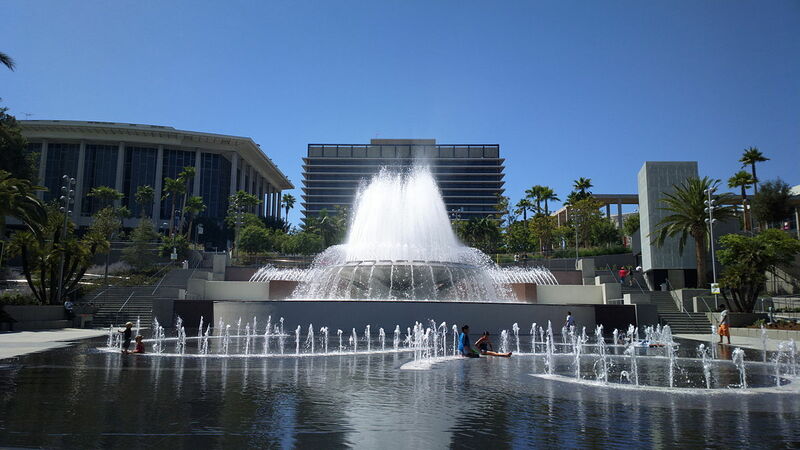 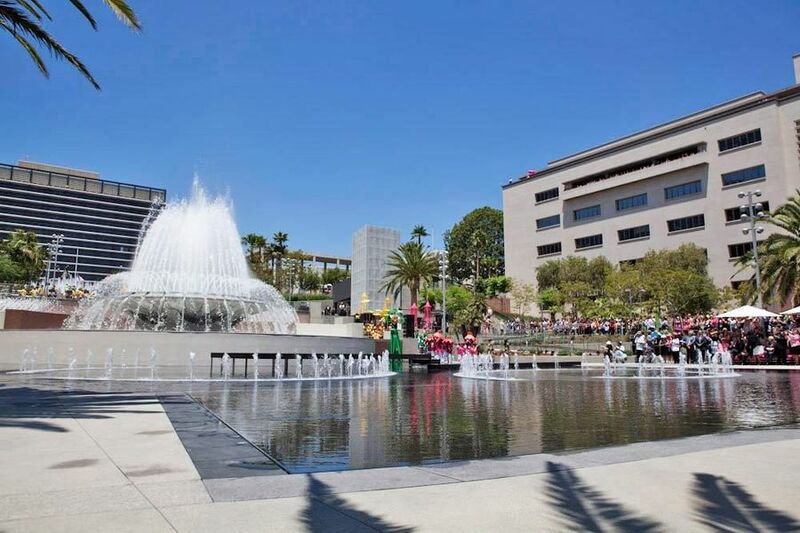 The re-cladding over existing marble included a total of 60,000 SF of Crystallized Glass Panels mechanically anchored to the existing concrete building structure. 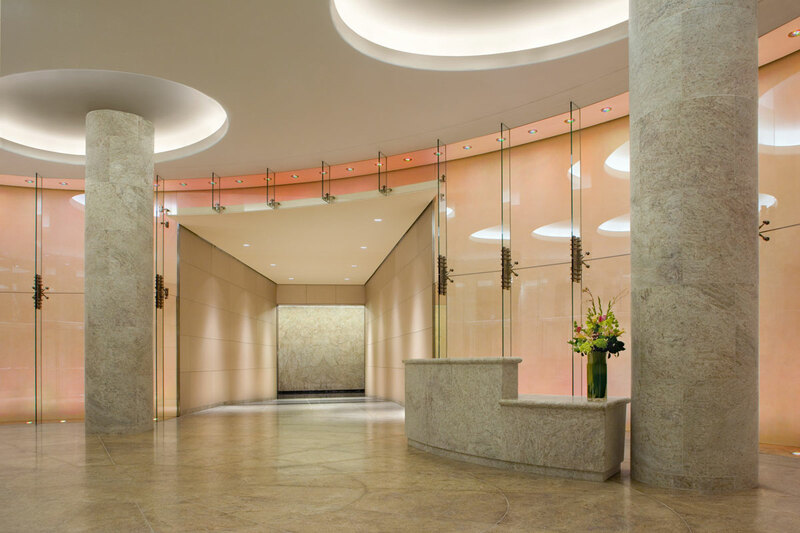 The interior lobby flooring consisted of large granite panels arranged in an elliptical shape. 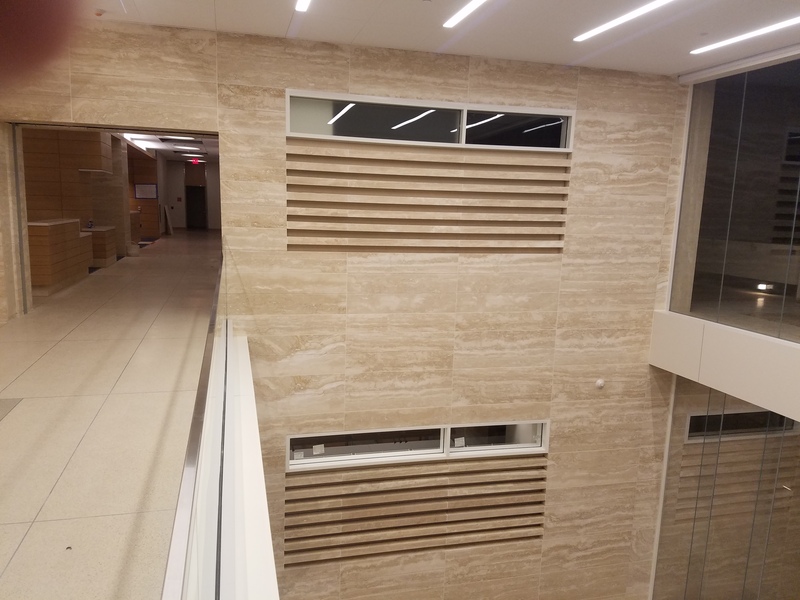 The granite panels were installed using a reinforced mortar setting bed and cleavage membrane. 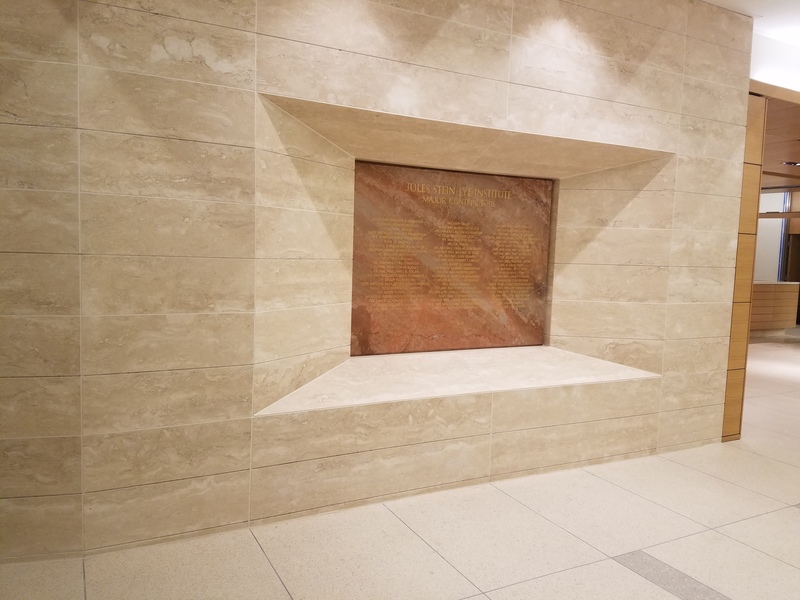 The granite panels were dry laid and blended prior to installation. 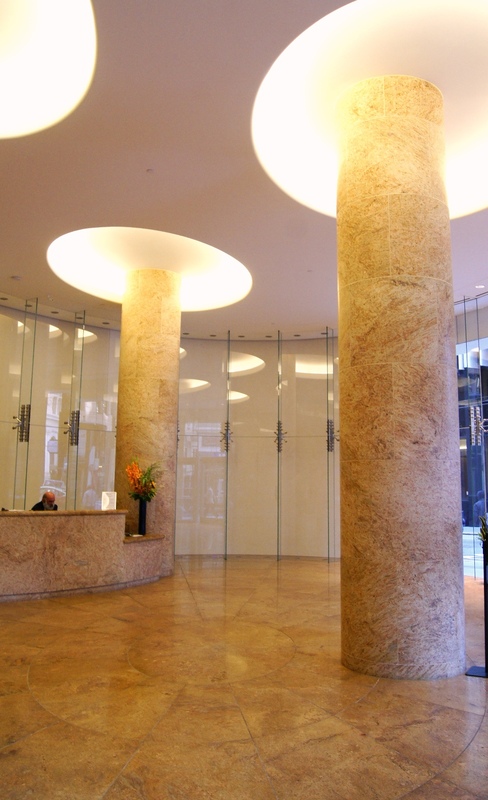 The lobby also included large columns with curved granite cladding.